James Foley beheading: Did Twitter make the right call in suppressing the images? Did Twitter and YouTube Make the Right Call in Suppressing Images of James Foley’s Beheading? 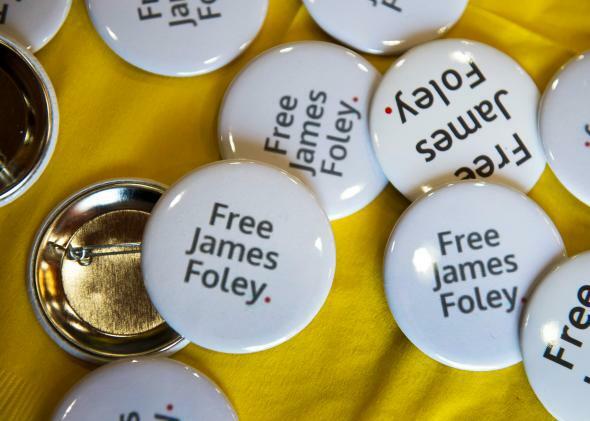 Support buttons from a 2013 Free James Foley event. Immediate family members and other authorized individuals may request the removal of images or video of deceased individuals, from when critical injury occurs to the moments before or after death … when reviewing such media removal requests, Twitter considers public interest factors such as the newsworthiness of the content. The language allows for Twitter to deny a request if footage of a death is newsworthy, which it certainly is in the case of Foley’s murder. But Twitter apparently feels that other factors outweigh the news value. And between the graphic nature of the footage, the emotional toll it will take on anyone who sees it—to say nothing of Foley’s family and friends—and the risk of implicating itself in ISIS’ grotesque propaganda scheme, there’s plenty of public interest factors for Twitter to choose from, though currently the company isn’t elaborating on which are at play in its decision. good for you twitter for blocking images of james foley's horrific murder #ISISMediaBlackout.